Performance Appraisals is the assessment of individual’s performance in a systematic way. 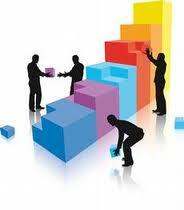 It is a developmental tool used for all round development of the employee and the organization. The performance is measured against such factors as job knowledge, quality and quantity of output, initiative, leadership abilities, supervision, dependability, co-operation, judgment, versatility and health. Assessment should be confined to past as well as potential performance also. Broadly all methods of appraisals can be divided into two different categories. 5. Critical Incidents Method: The approach is focused on certain critical behaviors of employee that makes all the difference in the performance. Supervisors as and when they occur record such incidents. Advantages – Evaluations are based on actual job behaviors, ratings are supported by descriptions, feedback is easy, reduces recency biases, chances of subordinate improvement are high. Disadvantages – Negative incidents can be prioritized, forgetting incidents, overly close supervision; feedback may be too much and may appear to be punishment. 9. Essay Method: In this method the rater writes down the employee description in detail within a number of broad categories like, overall impression of performance, promoteability of employee, existing capabilities and qualifications of performing jobs, strengths and weaknesses and training needs of the employee. Advantage – It is extremely useful in filing information gaps about the employees that often occur in a better-structured checklist. Disadvantages – It its highly dependent upon the writing skills of rater and most of them are not good writers. They may get confused success depends on the memory power of raters. 11. Cost Accounting Method: Here performance is evaluated from the monetary returns yields to his or her organization. Cost to keep employee, and benefit the organization derives is ascertained. Hence it is more dependent upon cost and benefit analysis. 12. Comparative Evaluation Method (Ranking & Paired Comparisons): These are collection of different methods that compare performance with that of other co-workers. The usual techniques used may be ranking methods and paired comparison method. Ranking Methods: Superior ranks his worker based on merit, from best to worst. However how best and why best are not elaborated in this method. It is easy to administer and explanation. Paired Comparison Methods: In this method each employee is rated with another employee in the form of pairs. The number of comparisons may be calculated with the help of a formula as under. 1. Management By Objectives: It means management by objectives and the performance is rated against the achievement of objectives stated by the management. MBO process goes as under. Advantage – It is more useful for managerial positions. Disadvantages – Not applicable to all jobs, allocation of merit pay may result in setting short-term goals rather than important and long-term goals etc. 2. Psychological Appraisals: These appraisals are more directed to assess employees potential for future performance rather than the past one. It is done in the form of in-depth interviews, psychological tests, and discussion with supervisors and review of other evaluations. It is more focused on employees emotional, intellectual, and motivational and other personal characteristics affecting his performance. This approach is slow and costly and may be useful for bright young members who may have considerable potential. 3. Assessment Centers: This technique was first developed in USA and UK in 1943. An assessment center is a central location where managers may come together to have their participation in job related exercises evaluated by trained observers. It is more focused on observation of behaviors across a series of select exercises or work samples. Assessees are requested to participate in in-basket exercises, work groups, computer simulations, role playing and other similar activities which require same attributes for successful performance in actual job. The characteristics assessed in assessment center can be assertiveness, persuasive ability, communicating ability, planning and organizational ability, self confidence, resistance to stress, energy level, decision making, sensitivity to feelings, administrative ability, creativity and mental alertness etc. Advantages – well-conducted assessment center can achieve better forecasts of future performance and progress than other methods of appraisals. Also reliability, content validity and predictive ability are said to be high in assessment centers. The tests also make sure that the wrong people are not hired or promoted. Finally it clearly defines the criteria for selection and promotion. 4. 360-Degree Feedback: It is a technique which is systematic collection of performance data on an individual group, derived from a number of stakeholders like immediate supervisors, team members, customers, peers and self. In fact anyone who has useful information on how an employee does a job may be one of the appraisers. This technique is highly useful in terms of broader perspective, greater self-development and multi-source feedback is useful.